Majority of us have LPG gas cylinders or pipeline connection at home for cooking purpose. It is as a hydrocarbon based compound that serves as an efficient cooking fuel because of its complete combustion property. But, LPG can also pose a serious threat to lives and property if not handled carefully. As a highly inflammable gas, the leakage of gas can cause fire hazards. There are several Gas Safety Devices available today that can help you avoid leakage of gas connection. 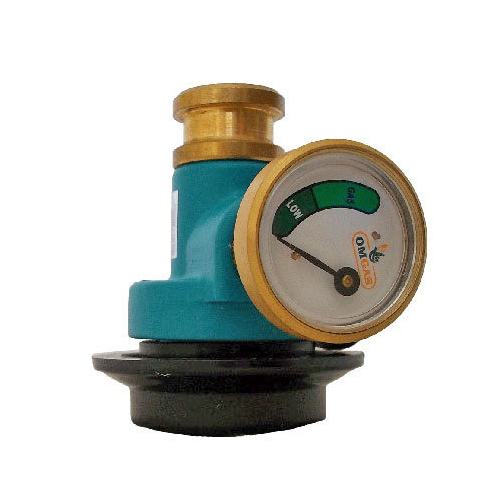 It is basically a regulator that minimizes the risk of gas leakage and save the precious LPG gas which is quite an expensive source of energy. These devices must be used with every gas connection to secure the link between the source of gas and burner. The regulator can be turned on and off when needed, with the help of a knob that effectively seals the opening of the cylinder. Now a days, there are advanced devices available in market with an automatic shut-off feature. It cuts off the gas supply from the cylinder whenever there is a crack in the tube or any other kind of leakage. Although it has auto-detection features but it is always advised to turn off the regulator when the burners are not in use or in case you are away from home for a long time. This is important as the manual shutting down of the device is a more secure way to prevent leakage. Some regulators have a level indicator incorporated in the device to notify you about the low level of gas and helps to get the cylinders refilled on time. The device should have advanced safety features such as Auto Shut-Off Valve, High Pressure Control Sensor, Leakage Testing Facility and Low Gas Level Indicator. Make sure you receive the insurance policy documents along with the regulator as it can help you claim insurance if needed.